Taipei, May 16 (CNA) The Chinese Taipei Baseball Association decided on Monday to withdraw its application to host first-round games of the 2017 World Baseball Classic (WBC), blaming the decision on Major League Baseball's (MLB's) delay in naming host venues. The association said in a statement that it has yet to receive a written response to its application submitted in November to host WBC games in Kaohsiung. The delay has affected the ability of the both the association and the would-be host city of Kaohsiung to prepare for a major international event such as the World Baseball Classic. According to the association, it made the decision after discussing the situation with Kaohsiung authorities and will formally inform Major League Baseball that it is withdrawing the bid, it said. 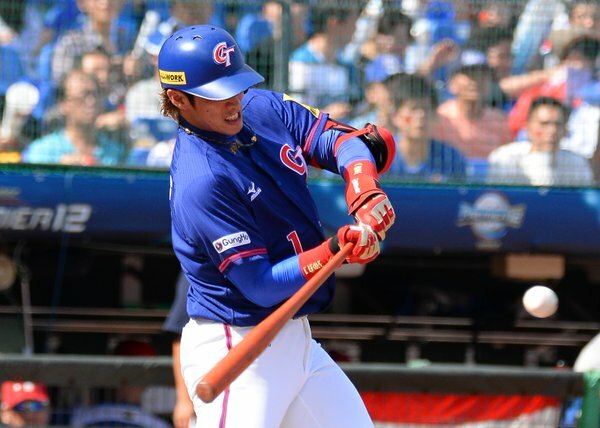 The association said, however, that the selection process and training program for Taiwan's national team for next year's WBC tournament will not be affected. Taiwan hosted first-round WBC games in 2013 when the country made a magical run to the tournament's quarterfinals, but was hampered in applying to host next year's games when a new indoor stadium in Taipei, the Taipei Dome, was stalled by a dispute between the city and the contractor. South Korea, on the other hand, made a strong bid with the completion of its Sky Dome in Seoul, which opened last November. There has been widespread speculation that Seoul has already won the rights to host one of the two pools being held in Asia, with Japan expected to be home to the other. Major League Baseball is expected to announce the host cities in the coming weeks. Richard Lin (林宗成), secretary-general of the Chinese Taipei Baseball Association, said in April that South Korea was favored over Taiwan to host the WBC because its new dome. The WBC is an international baseball tournament that was first played in 2006. After a 3-year gap between the first two tournaments, it was decided after the 2009 tournament that it would be played once every four years. Sixteen national teams make the main draw.